This weekend, those who are cool are in Berlin at the opening of the Urban Nation Museum. 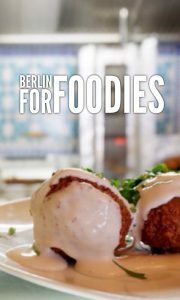 Me, instead, I’m at home –pyjamas & slippers- going through my pictures to write this Berlin food guide just in time to hand out my tasty Berlin tips to those who are cool. NB Wherever you will go to eat or drink something in Berlin, be prepared to be served at their (super relaxed) time. Just to give you an idea: the average time to get your morning toast is 40 minutes (true story). 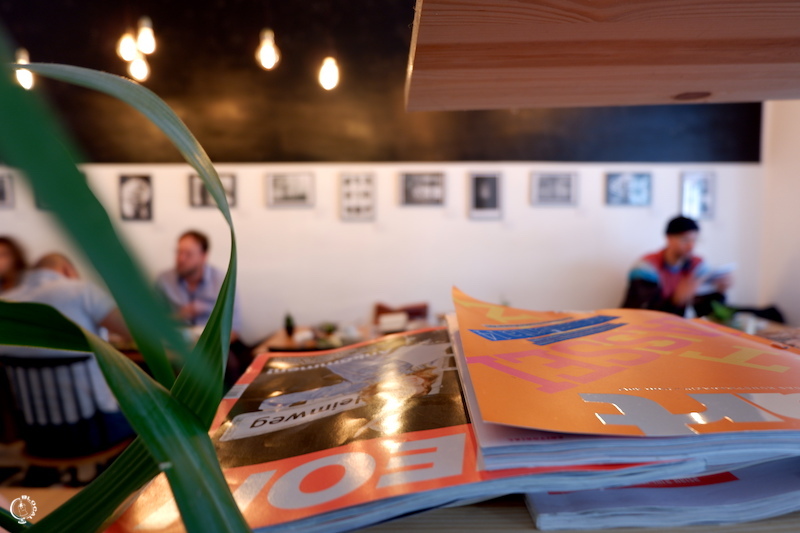 After all, Berliners don’t need to go to the office after breakfast: their office is the café itself, where they sit behind their laptops throughout the whole morning while slowly sipping an organic coffee or a mate tea. 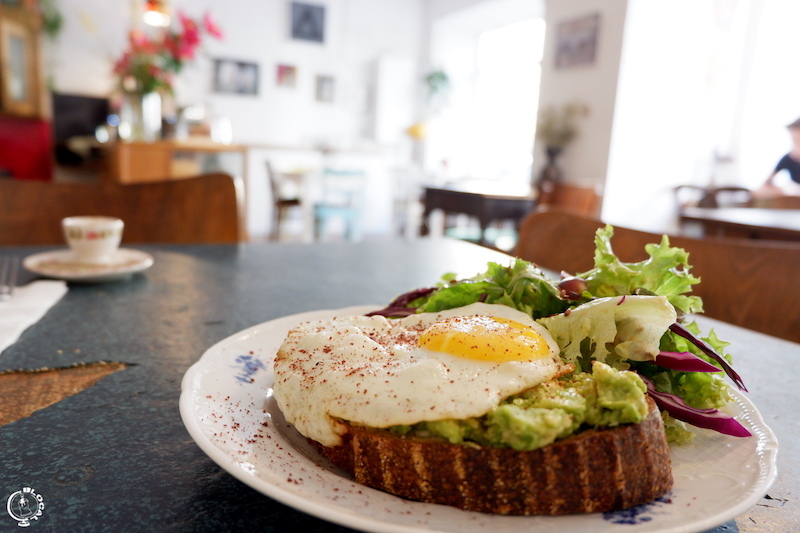 There is no better place to have a brunch in Berlin than the trendy neighbourhood of Prenzlauer Berg. 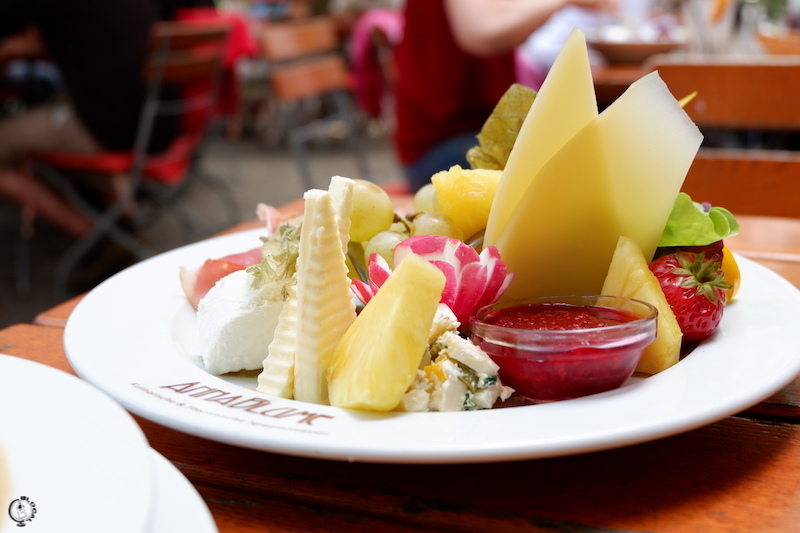 And there is no better place to have a brunch in Prenzlauer Berg than Anna Blume. From its quiet tables, you can indulge in people watching while sipping a coffee and tasting its culinary and floral specialities (yes, that’s a thing), which are made with edible flowers coming from the annexed flower shop. At this tavern the menu is either in German or in Turkish; the English version is not contemplated. I guess not so many tourists venture to this restaurant hidden under the skyway in the far away neighbourhood of Moabit. However, the place is fully covered with appreciation messages by satisfied clients. The tavern smells of roasted fish, which is the speciality of the house: it’s always fresh and served with a nice wine. I’m not a big fan of burgers, but when I spot a great burger bar I have to try it, especially if they serve such good-looking fries. 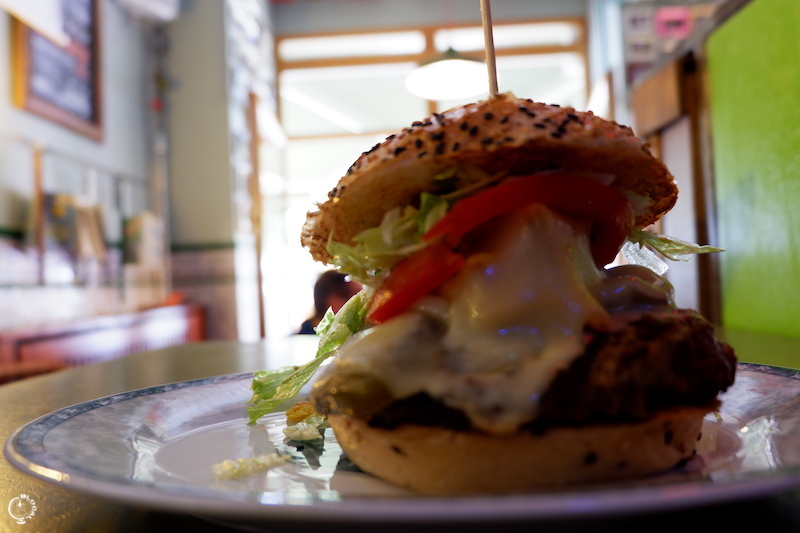 Next to the all-time classic burgers, here I found many different kinds of burgers, some of which definitely creative. 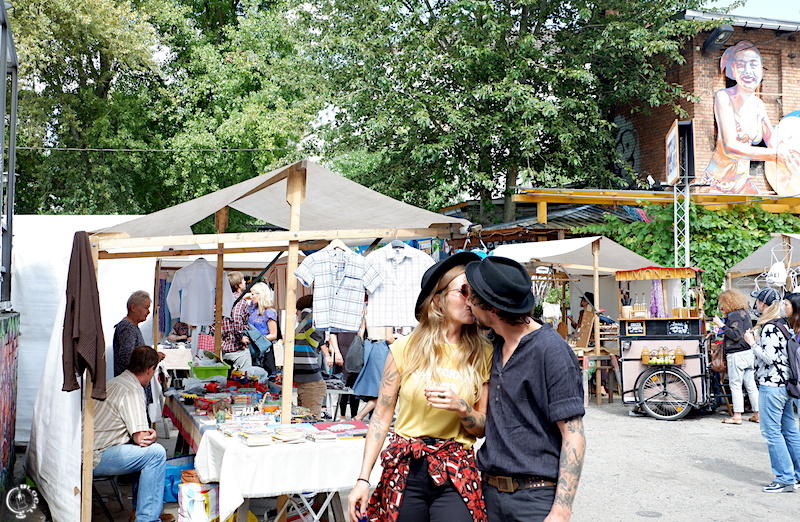 The place overlooks a beautiful square, Boxhagener Platz, which is the beating heart of Friedrichshain and –on Sunday- the location of a nice flea market. You know I’m very picky with coffee, especially when I’m abroad, and the only coffee I will endorse in Berlin is the one at this cozy café in Neukölln. Do I need to say more? If cholesterol weren’t an issue, I would have eaten kebab for the whole trip. And I would have done it at Doyum. 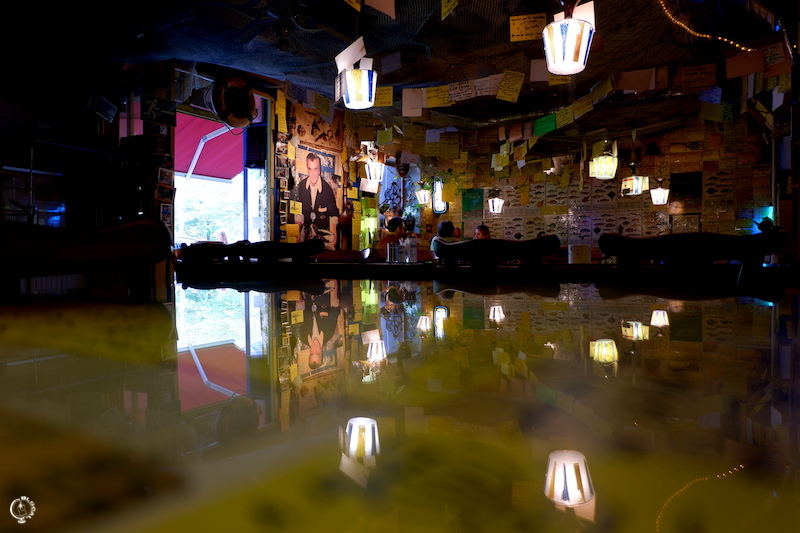 I love this place because it’s never too crowded; some might think that says it all, but I like to take my time sitting at the table and reading a book while eating my kebab without feeling rushed by the waiter. Moreover, here the meat is exceptionally tender and perfectly seasoned. 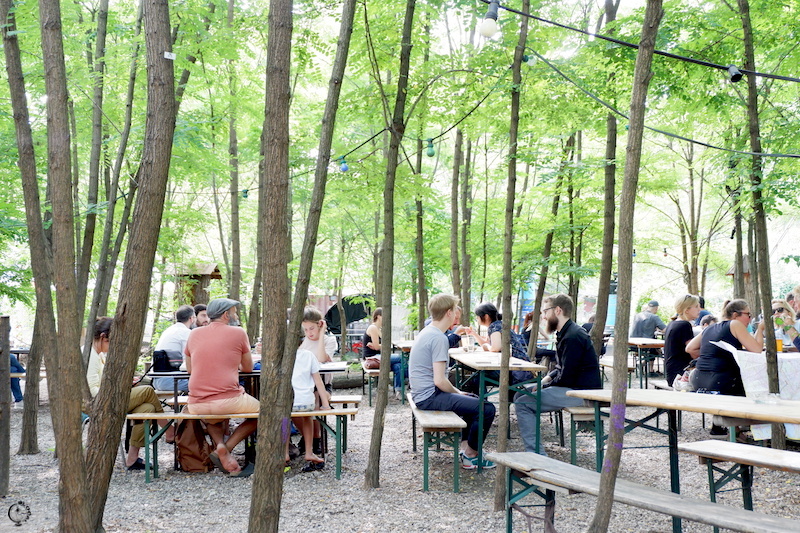 Ok, perhaps it isn’t the very best beer garden in town, but surely it’s the one when I’ve always found a place to sit (ok, I do spot a pattern), even during the hipster flea market that takes place every Sunday at RAW-Gelände. 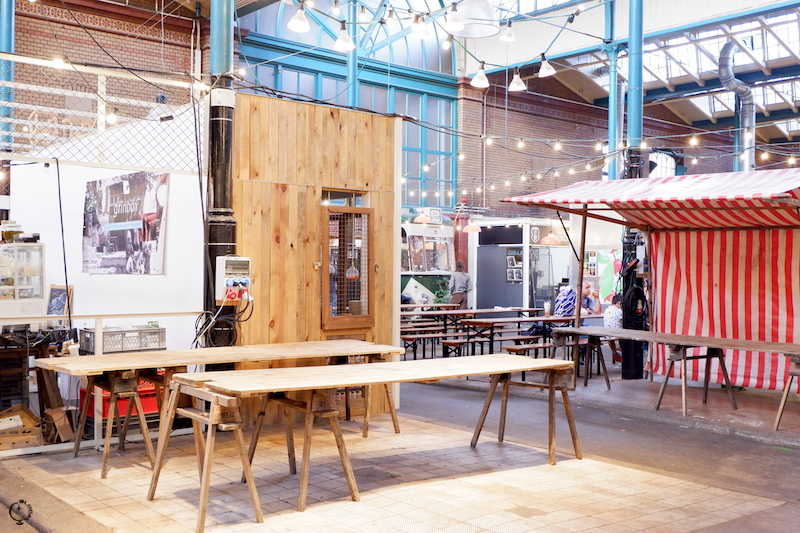 RAW is a former train repair station that now hosts Berlin’s well-known, graffiti-covered underground clubs –or better what’s left of them- and a cool flea market every Sunday. You wouldn’t want to drink on an empty stomach, would you? While wandering around the Flohmarket, I stopped at this Japanese kiosk. It was the one with the longest cue, and for a good reason. 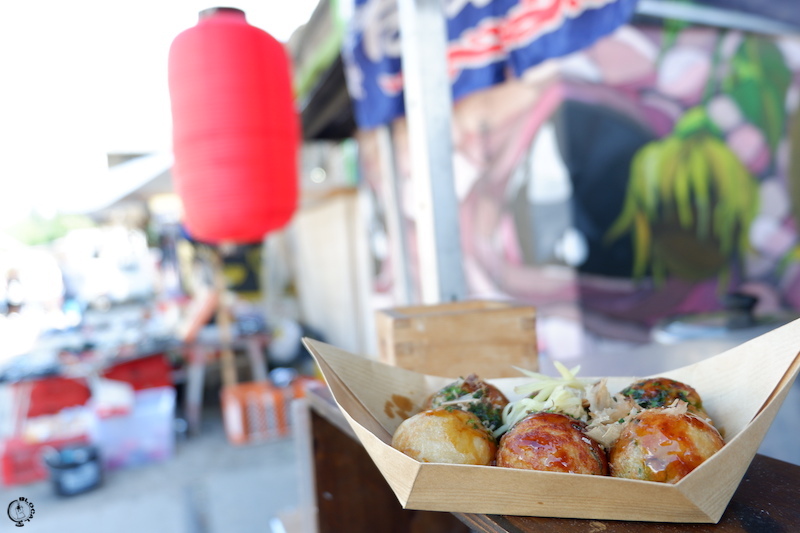 I’ve never had the Takoyaki (octopus balls) before: what a tasty discovery! I don’t simply love liquorice, I also need it –especially when I’m walking all day long. 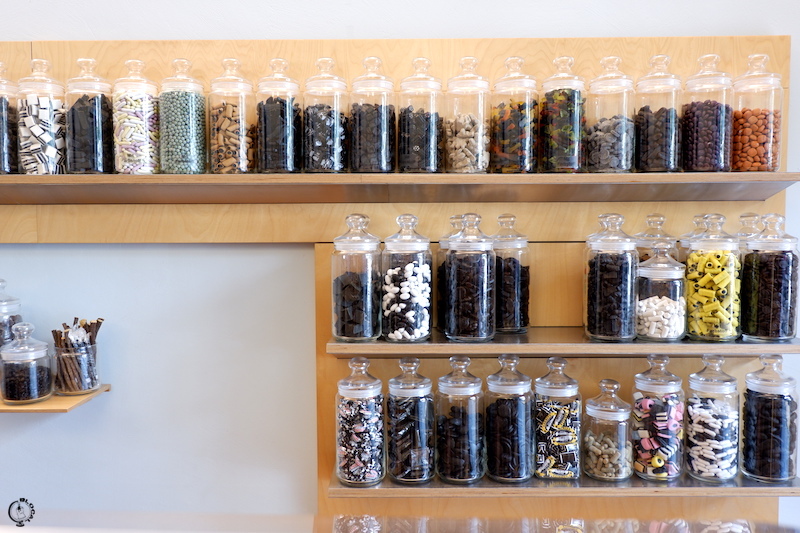 In Berlin, I had my fill at this tiny shop, whose walls are covered with shelves of candy jars filled with more than 500 varieties of liquorice from all over Europe. From the busy Karl-Marx Boulevard, all you can see is a shopping mall, one of those horrible places with a multiplex and several floors of parking lots. However, on the roof there is a bar offering live concerts, DJ sets, workshops and stunning sunsets (only the sunsets are free of charge, though). 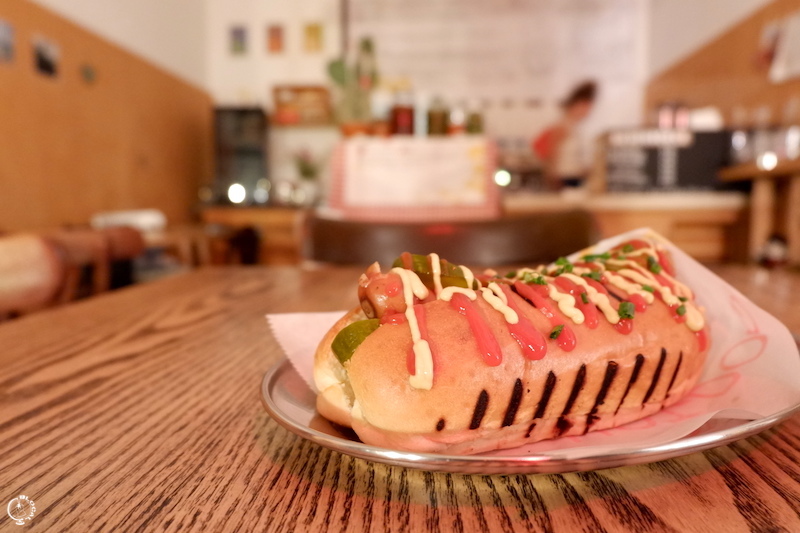 Köter is a hot dog pop-up operating out of Federica’s Cafe after 6 pm. They serve different kinds of hot dogs, all accompanied with delicious homemade sauces, pickles, jalapenos and sauerkraut. I first entered it because I heard a music I couldn’t resist. I mean, how amazing can be a place whose waiters dance on swing music in the night? At the end of the 19th century, this place was the 9th of Berlin’s market halls, which eventually succumbed to supermarkets and large retailers. 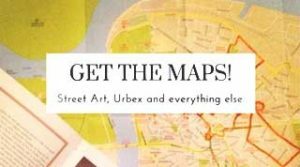 But residents didn’t give up on it and turned it into the biggest food heaven for hipsters. 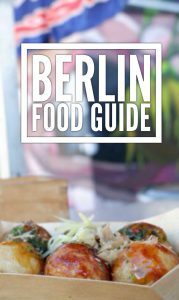 Don’t miss the Street Food Thursday, it’s when the food market becomes the epicentre of Berlin hipsterdom. (the shawarma is delicious too!) At first, I entered the place attracted by the colourful tiles covering its walls. Then, the spicy smell of Lebanese food got me. 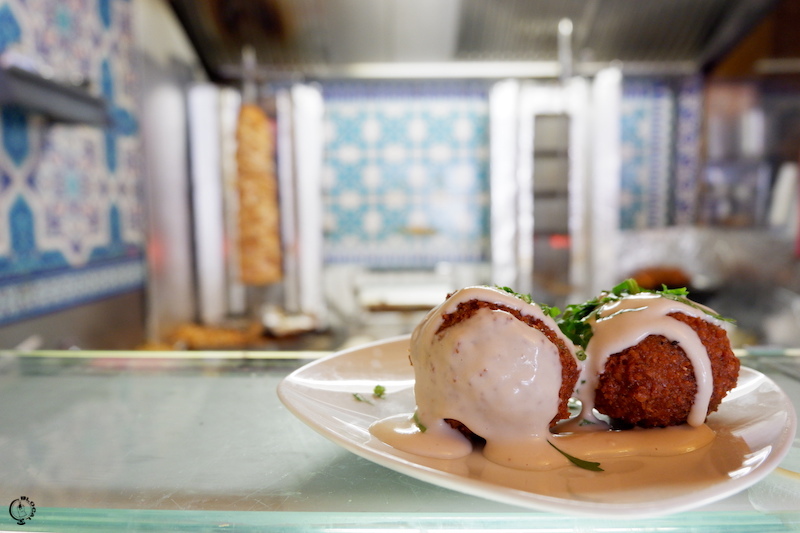 The meat is always very tender, but I especially love their falafels: unbelievably yummy! This deli is hidden inside a former Jewish girl school, whose floors now house several contemporary art galleries. 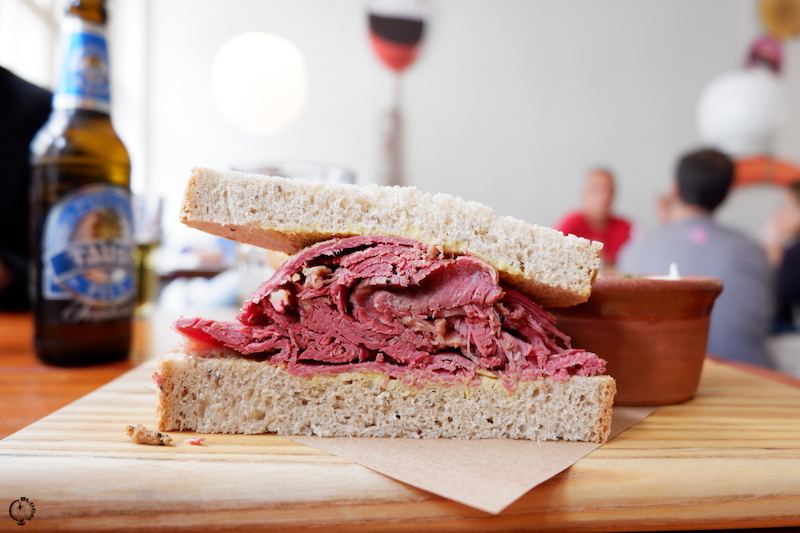 Their signature, homemade pastrami is smoky, peppery and New York standard delicious! 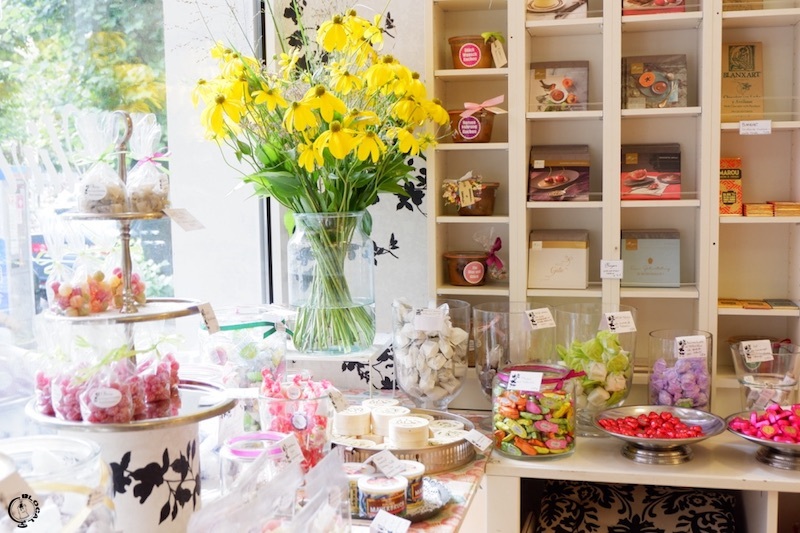 I’m not a big fan of candies and sweets in general, I don’t even eat chocolate, but I couldn’t help stopping at this shop to take a picture. Every little detail is so instagrammable here! 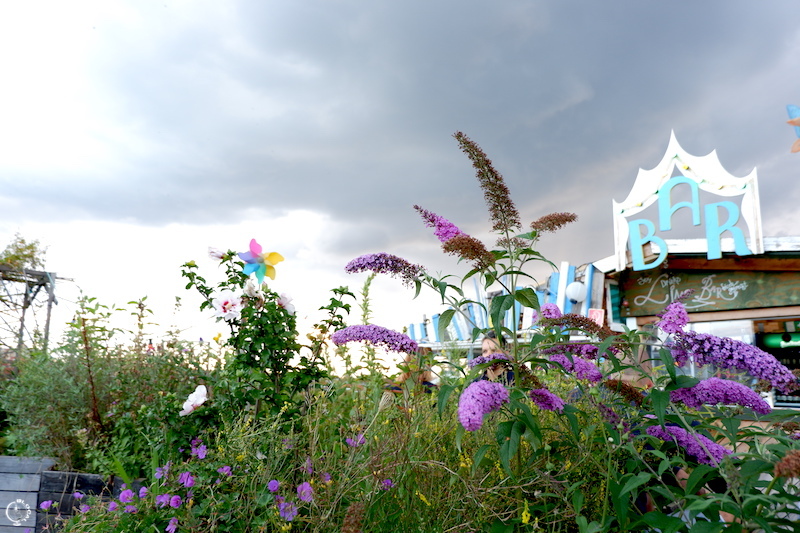 Prinzessinnengarten is a beautiful urban gardening project that brought some green to a formerly derelict area. 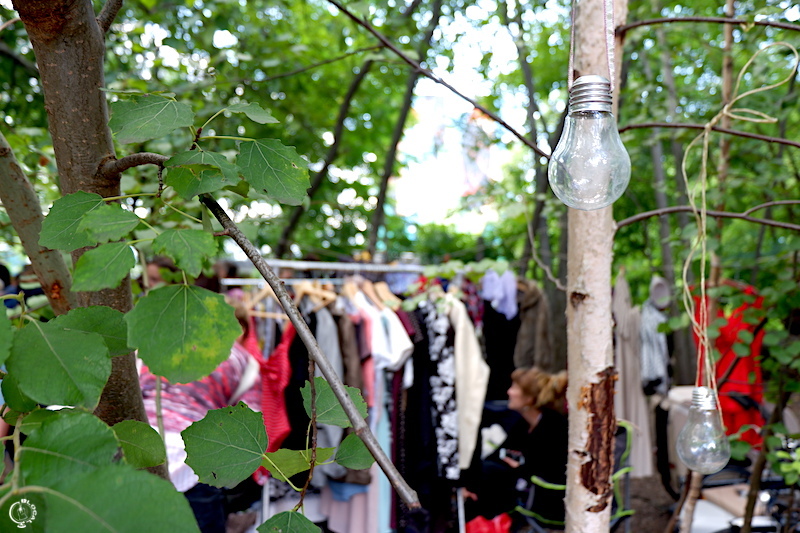 This little wood has some kind of magic in it, like if it were inhabited by fairies, especially on Sunday when local hipsters roam around the flea market. 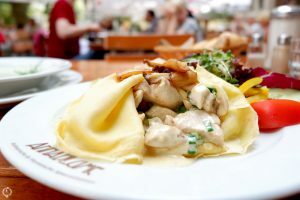 In the middle of the gardened square, there is a lovely café and restaurant serving –it goes without saying- organic food. 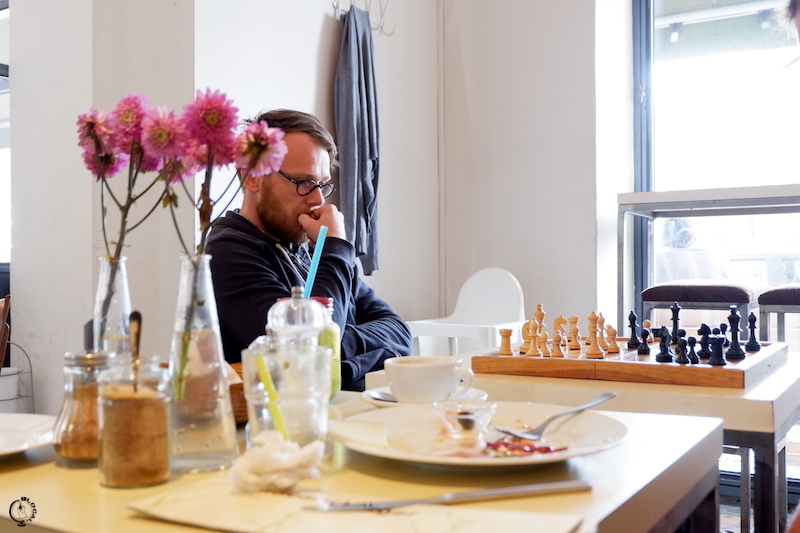 At this peaceful café in Neukölln, the atmosphere is very relaxed: people just chat, read, play chess or otherwise enjoy their time –no rush, you are in Berlin. 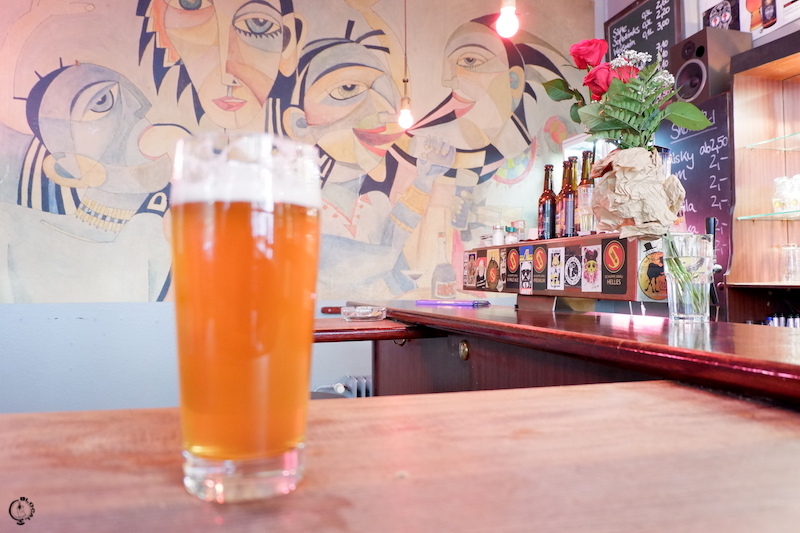 I visited this microbrewery during the happy hour, when you can get a pint for just 2,5€. From the outside, it looked very punk and Kreuzberg-ish, but then once inside I had to listen to Witney Huston for the whole evening. 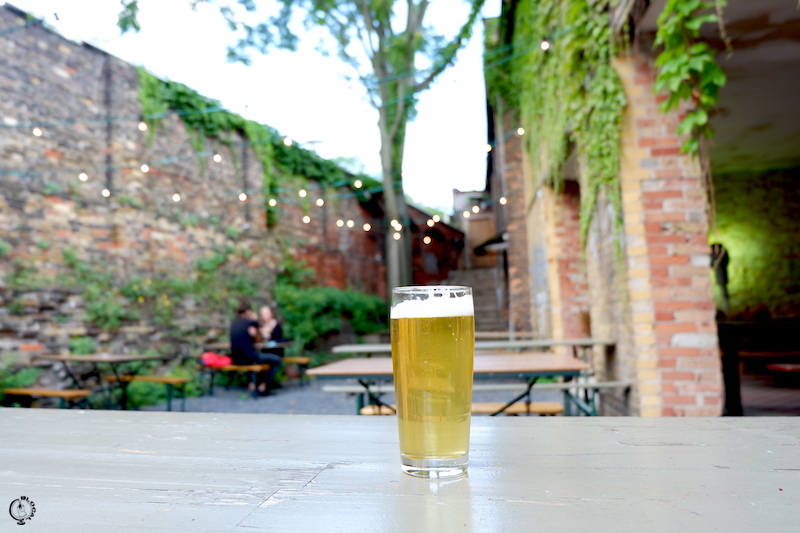 To drink on it, I enjoyed a ‘Hoppy Shoppy’, their regular pilsner, which is way more hoppy and tasteful than all the other boring pilsners I’ve tried before. Hidden inside an elegant courtyard downtown there is a beautiful tearoom decorated in a classical Persian style: carved wooden pillars, chandeliers and Persian carpets all over the floor. Sipping a smoked tea, which I paired with some traditional Russian sweets, I spent the afternoon reading a book sat on their precious Persian cushions. 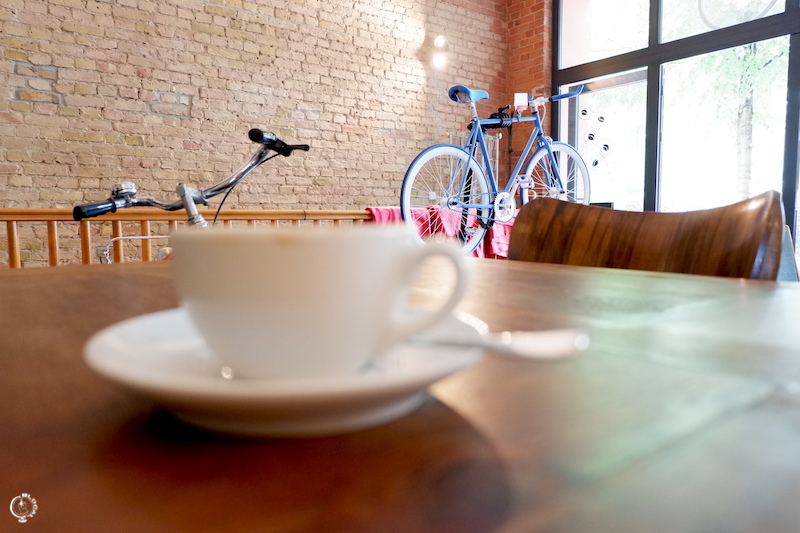 A bike café is a place where bike lovers can enjoy a coffee while repairing their bikes. The community spirit is usually very strong among bike-riding hipsters, and that’s why I always enjoy spending some time at a bike café even if I don’t ride a bike. (I’m more of a walker, what can I do). 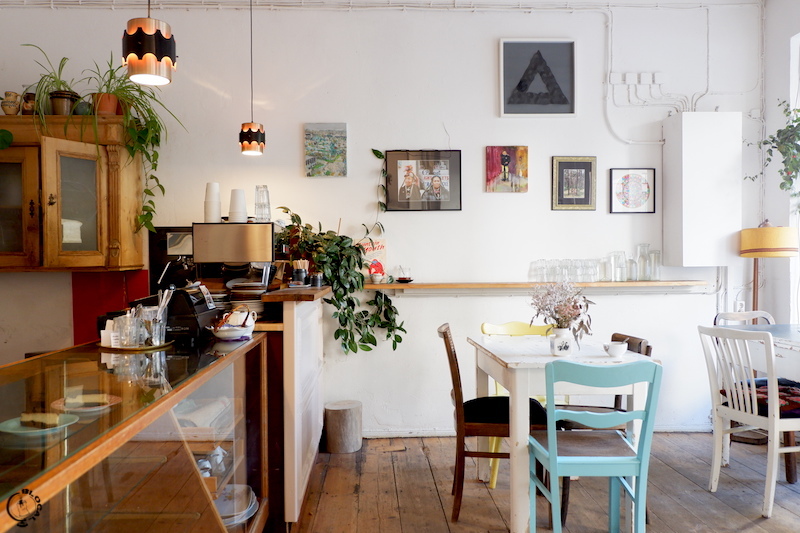 This bright, peaceful café with a Nordic setting serves amazing breakfasts to the Kreuzberg crowd. The ingredients are always very fresh and the coffee is good too! 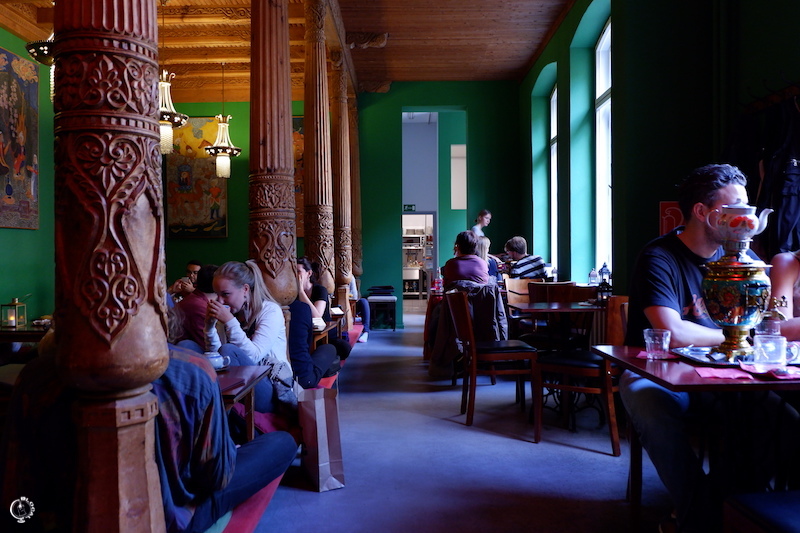 The place is comfy and very bright, perfect for bringing your laptop and getting some work done –in the true Kreuzberg spirit. 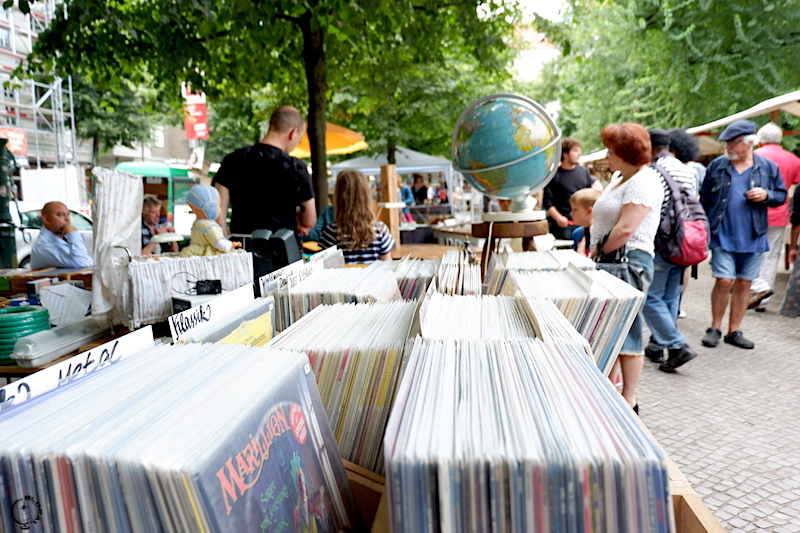 Find these spots and more cool things to see in Berlin on my Berlin Google Map! 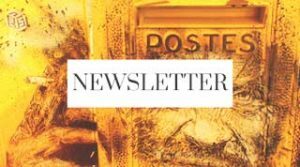 Disclaimer: I was given the Berlin Welcome Card by Visit Berlin; however, all thoughts and opinions of my experience in Berlin are my own.